Make bedtime the best time of day with our Toddler beds. 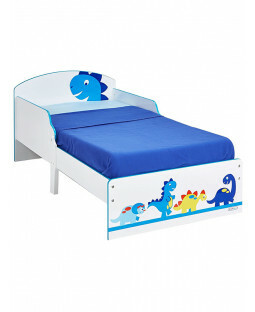 These children’s beds are ideal for boys and girls aged 18 months to 4 years and every kids bed comes with a range of mattress and storage options so you can be sure of a sound investment. 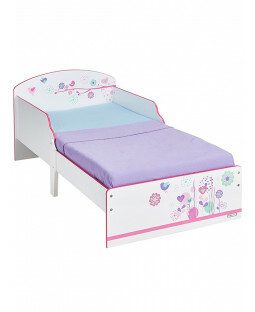 These toddler beds provide a safe and secure night's sleep at a for kids aged 18 months to 2 years. For parents, these beds are great value and come as an easily assembled flat pack. You can put up a toddler bed in minutes to transform your child's room in time for bed. These beds come in every toddler's top themes and patterns to create a coordinating bedroom. 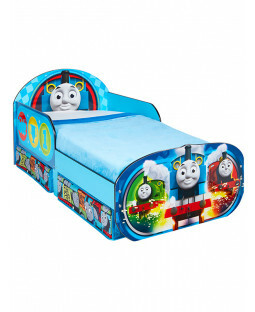 Find licensed toddler bed designs featuring film and TV characters, Disney Princess Carriages, Paw Patrol and My Little Pony beds. You can also create an extra special bedroom with Price Right Home's exclusive boys and girls designs. 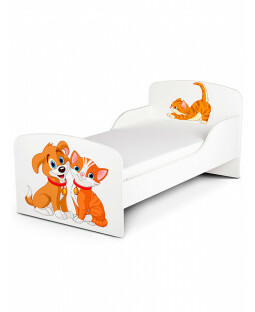 Whether you're looking for animals, TV characters or a plain white toddler bed we have junior beds and ready beds in the perfect shape and size. Toddler beds are bigger than a cot and smaller than a single bed to take the tears out of transitioning from a cot to a grown up bed. This their mix of thoughtful features and favourite character designs. These childrens beds measure approximately 75 x 145 cm for a snug and secure sleep for girls and boys aged 18 months to 4 years. Having an extra low bed frame means your little one can get out of bed easily without having to be lifted or risk a fall. 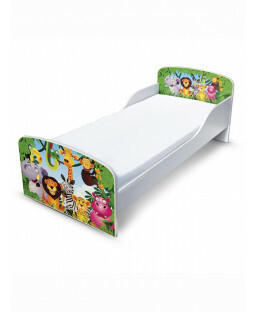 Side panel rails stop your child going bump in the night and a choice of foam, deluxe foam or fully sprung mattresses fit perfectly into the groove. Choose from cosy wooden bed designs or sturdy steel bed frames, with secure click assembly which makes putting the frame up a dream. There's great news for mum and dad too. Under bed storage drawer options are available to keep toys and clothes neat and tidy. With Price Right Home's Price Beat Promise you can guarantee you're buying the cheapest kids beds. 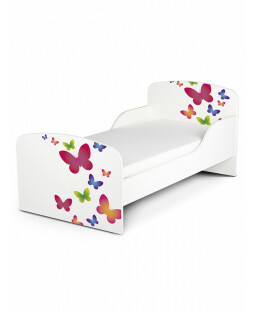 These beds are delivered free with UK customer support if you need a hand assembling or ordering your toddler bed. There are almost 100 beds for toddlers to choose from, with the latest favourites including Paw Patrol and Peppa Pig designs. Or how about a Frozen toddler bed shaped like a sleigh, or a Lightning McQueen car complete with storage? Price Right Home also sell the classics from Thomas the Tank Engine to Winnie the Pooh. 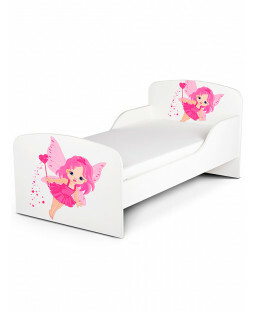 The best animal, football, magical, knight and princess beds for boys and girls are here too. 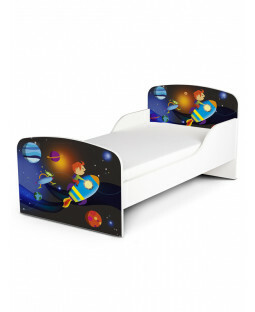 Our character themed beds make bed time the best time of day for kids and parents alike and with mattress protectors and junior bedding bundles available too you can get all you need for a great night's sleep in a single order.